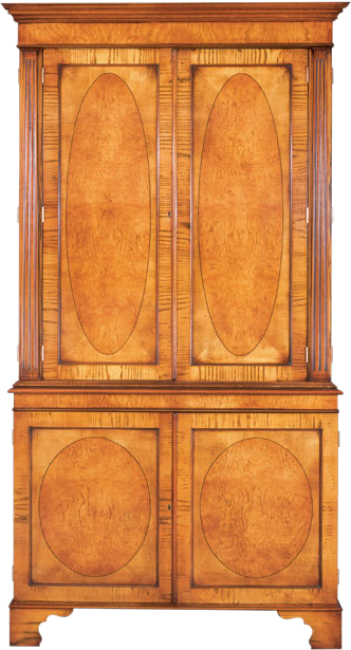 Classic entertainment unit with oval inlaid panel doors with Ebony or Satinwood stringing. Upper section features carved fluted columns, articulating TV shelf, and DVD shelf. Lower section with an adjustable shelf. Bracket feet. May be modifed with pocket doors. Pictured in Burr Ash.